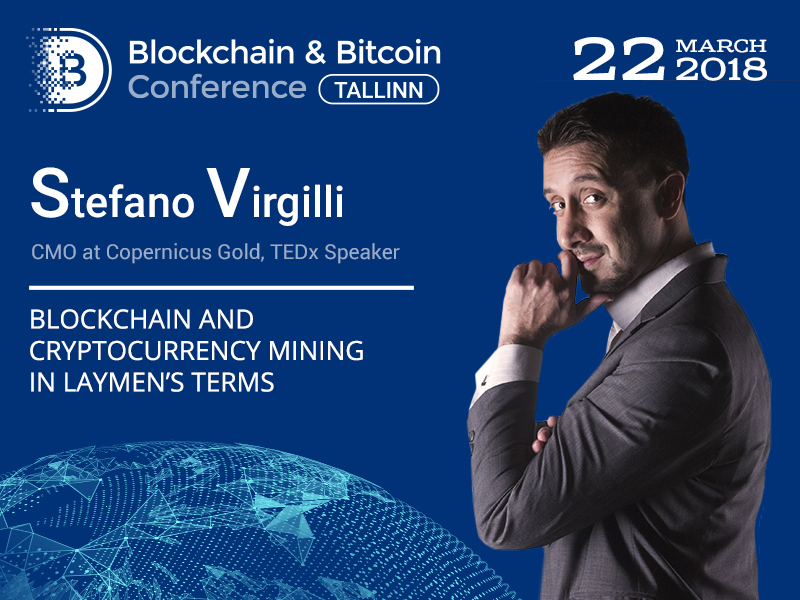 Chief Marketing Officer at Copernicus Gold, TEDx speaker Stefano Virgilli will become a presenter at Blockchain & Bitcoin Conference Tallinn. At the conference, he will speak on the topic "Blockchain and cryptocurrency mining in laymen’s terms". Through simple examples, he will explain what underlies complicated processes in the world of cryptocurrencies and blockchain. Stefano Virgilli is a well-known entrepreneur, highly qualified specialist in communications and innovations. He has been working in Italy, Singapore, and Oman. The most featured presenter in Europe, Asia, and the Near East. Stefano is a TEDx speaker and certified Adobe specialist with more than 80 international certifications, has trained 14 thousand people during his career. Author of the book about marketing and design titled The Promise of Empty Spaces. Currently, Stefano is working on his second book narrating about the role of culture and perception in business development. Stefano is a keen traveler having plans to visit 100 countries by 2025. Register to Blockchain & Bitcoin Conference Tallinn.